There is a fortune at stake. 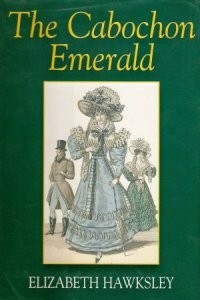 The cabochon emerald, heirloom of the de Cardonnels, has disappeared in the chaos of the French Revolution. The young Anna de Cardonnel, fleeing from the Terror, finds herself in London, living with her English relations. The Cabochon Emerald is available as an audio book from Calibre.